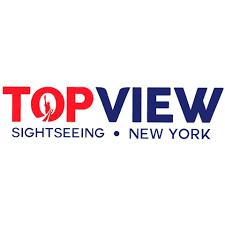 NEW YORK, April 5, 2018	(Newswire.com) - The tourism industry keeps getting bigger in New York City, as the popular destination has had record tourist numbers for eight years running, and even surpassed 60 million tourists in 2016. All those tourists need ways to see the city, and one unconventional option is a bike rental. Go NY Tours is a bike rental and tour service company that covers many of the most popular areas in New York City. Conventional sightseeing tours are typically passive, with tourists being taken around an area on a bus or boat by a guide. However, seeing the city on a bike is a more interactive experience. Bike rentals give tourists a great new way to see more of the Big Apple. They can burn calories while they check out a much larger portion of New York than they could see just walking around, and they'll still have a tour guide to point out those places that only locals would know about. Tourists are getting exercise while they do their sightseeing. It's easier to cover ground and see more sights while on a bike than going by foot. The tour guides are knowledgeable and will make sure visitors have both a fun and educational experience. While a typical tour on a Central Park bike rental will include plenty of stops for pictures and for the tour guide to talk about the park, it's still exercise at a moderate intensity. A person can easily burn over 500 calories per hour when biking, which means a bike tour is a fantastic way to get some physical activity even on a vacation. If there's one thing New York City has in spades, it's amazing attractions that people want to see during their trip. Tourists can only go so fast on foot, and in a car or bus, there's traffic to worry about. Biking allows tourists to cover more ground. For example, a Central Park bike rental through Go NY Tours covers 14 miles in just two hours. New York City has plenty of places and secrets that a typical tourist website won't mention. Since bike tours are led by locals who know the area and have lived in it for years, tourists hear fun stories about what they're seeing, such as what movie scenes were filmed there. Considering the number of movies that have taken place or had scenes filmed in New York, there's no shortage of these stories. For more information about bike tours in New York City, please visit Go NY Tours. There are plenty of ways to check out New York City. For something that gets the blood pumping and lets tourists breathe the city in, bike rentals and tours are a unique and exciting option. 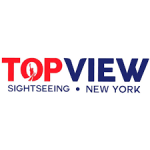 About Go NY Tours: Go NY Tours is a tour company based in New York. It has routes throughout the city and takes over one million people on tours every year.